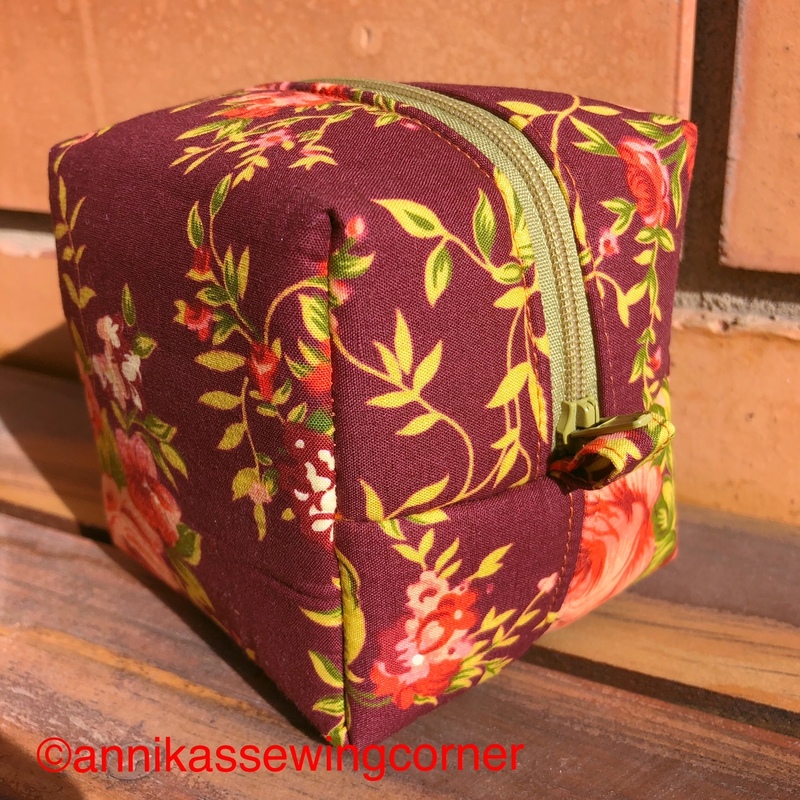 I made a box zipper pouch for my daughter’s friend Alex’s 19th. I used the pattern that you can find in this blogpost. This pouch was supposed to be a cube and and you can find the measurements/pattern piece here if you’re printing on A4 or here for printing on US letter size. The pouch measures 3.5” on all sides when finished. This size was a little bit tricky with this pattern, where there is no exposed seams. 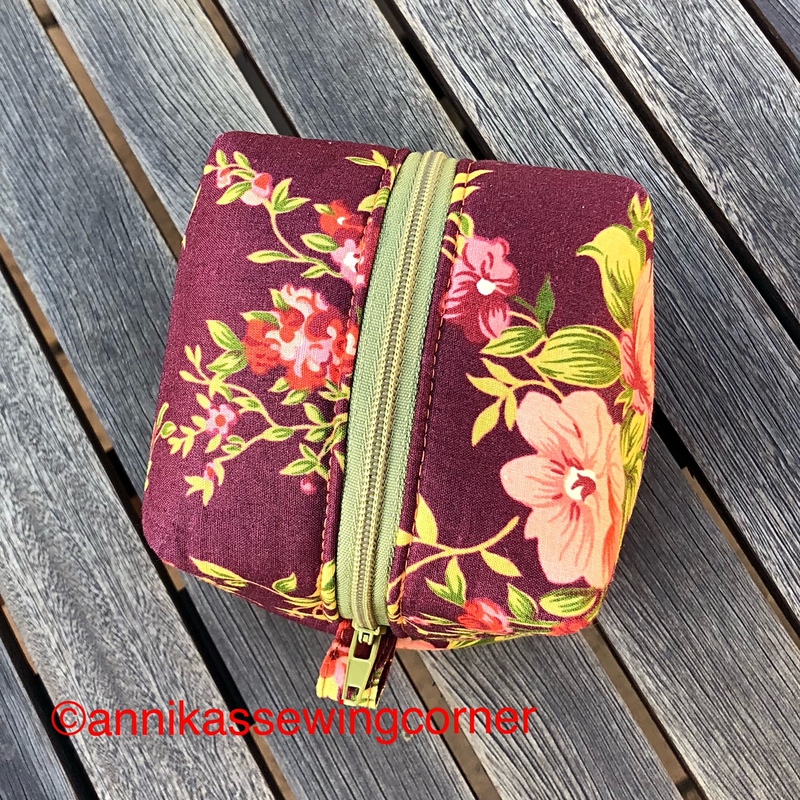 If you like to make the pouch with an easier pattern you can just download the measurements/pattern piece and use any pattern you want. These reversible mug rugs is for my sister’s birthday in October. I used the pattern on my tutorials page. All the patterns there are free. I did omit the appliqués this time. I’ve written two blogposts about this pattern. You can find them here and here. They are very easy to make and are a great way to use those appealing coordinated fat quarter packs. 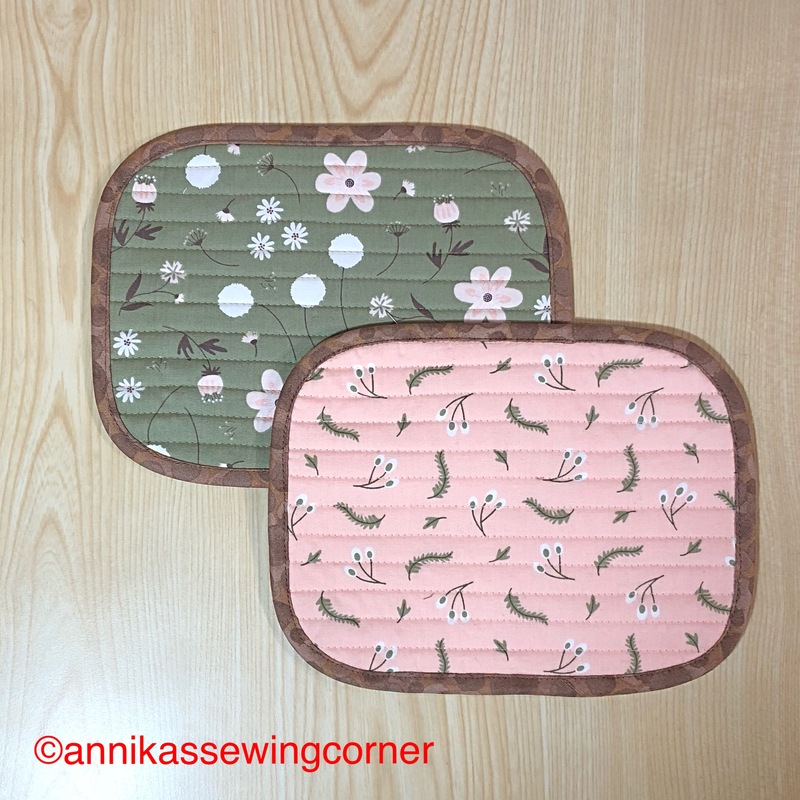 Three fat quarters is enough to make four mug rugs, one for the front, one for the back and one for binding. I love being able to sew presents, they are unique and personal. 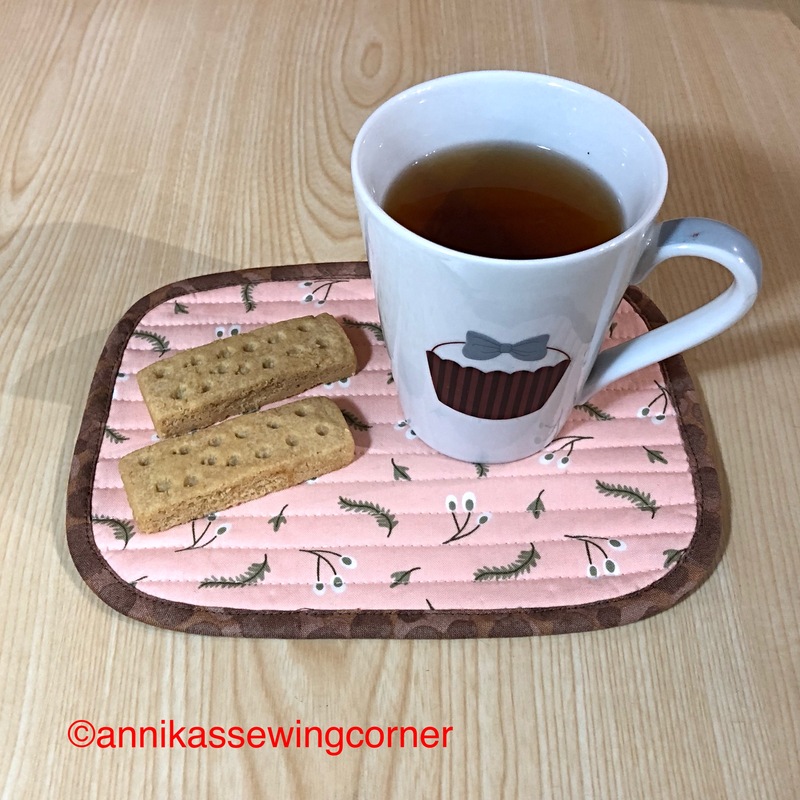 My daughter put earrings in the pouch for her friend and I’m sending Melbourne Breakfast Tea (black tea with vanilla flavour) with the mug rugs. 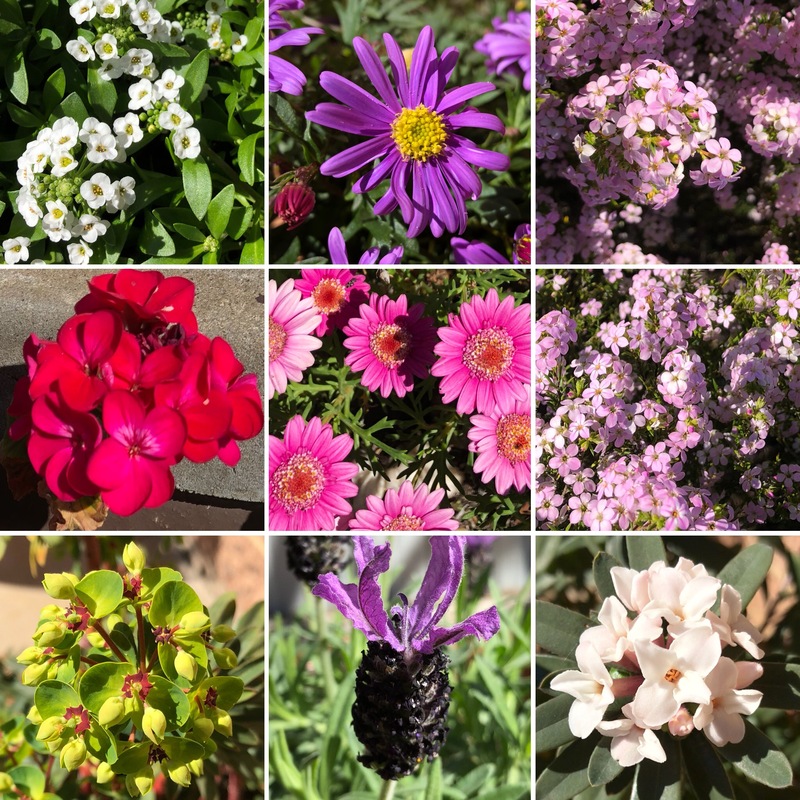 Speaking of Melbourne, spring is finally here and my garden is getting colourful. Until next time, happy sewing and take care!